Customised ID tags front and back. Your pets name will be displayed on the front side and additional text (number and registration) on the back. High quality custom printed designer dog collars, leads and ID tags. We pride ourselves on functionality and cool design. All of our products have been put to the test. Our personalised pet products are all printed and personalised in Australia. Custom collars, identification tags and leads will satisfy the even the furriest of our friends. See for yourself what all the woof is about… No breed or name is too unusual. We believe every dog, cat and all pets alike deserve to have their very own personalised things. 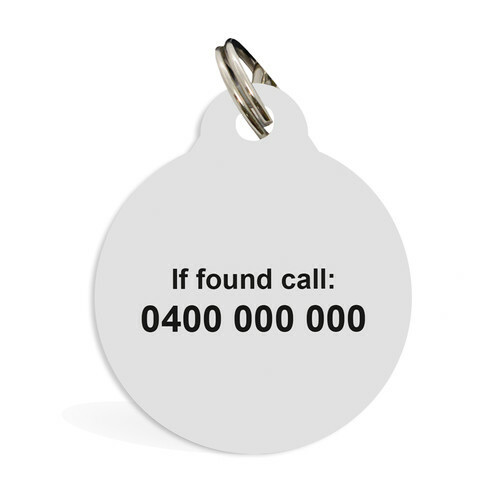 ID Tags So your pet does not get lost and can be returned home quickly. IdPet is the place where all cool dogs can get all their gear custom made specifically to their interests and personalities. Because let's face it we have a lot to bark about too! 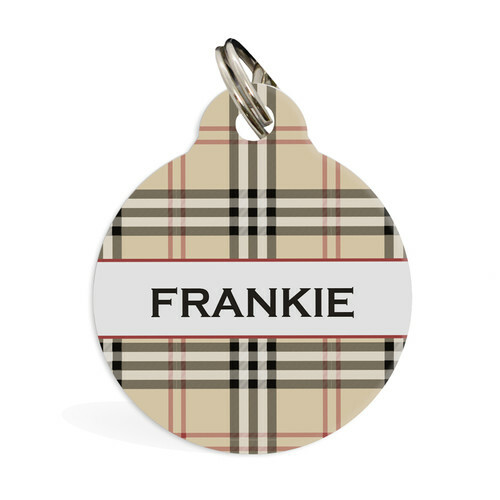 When you buy a Very Furberry Oatmeal ID Pet Tag online from Temple & Webster in Australia, we make it as easy as possible for you to find out when your product will be delivered to your home in Melbourne, Sydney or any major city. You can check on a delivery estimate for the IdPet Part #: IDPTAGSTD_301A here. If you have any questions about your purchase or any other Great Gift Ideas product for sale our customer service representatives are available to help.Whether you just want to buy a Very Furberry Oatmeal ID Pet Tag or shop for your entire home, Temple & Webster has a zillion things home. We endeavour to get your order to you as soon as possible, and as such this product cannot be cancelled. Please see our full cancellation policy for details.